This post is the second in a series addressing concerns organizations may have that prevent them from moving the cloud-based solutions. 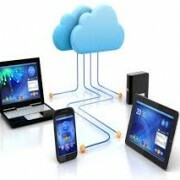 Will moving to the cloud save money? The answer is a definite, absolute … maybe! Whether or not a move to the cloud saves money depends on the in-house services being replaced and the cloud-based services taking their place, as well as the impact the change will have on related IT services and your business. When looking at 5-year TCO, organizations must make honest projections on IT spending to maintain the status quo and/or upgrading systems. Beyond projected hardware and software replacements and upgrades, the analysis should include the cost of services and supporting systems (backup, anti-virus, security, etc.). The analysis should also assess soft costs for administration, support, and estimated down time. The challenge remains making the comparison equivalent. For example, moving from a single in-house Exchange server to Google Apps for Business is a move from a system with several single points of failure to a highly redundant and highly available service. If improving availability is an objective of the move to the cloud, the comparison should include the cost of upgrading the Exchange environment for redundancy. 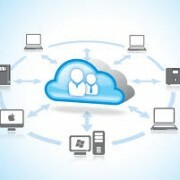 A final consideration should include any business enablement that comes from the move into the cloud. Will the cloud service enable the business to operate more efficiently and/or in new, more productive ways? Improved collaboration, real-time communications, and access to information are all examples of how Google Apps for Business enables businesses over traditional email services. In straight dollars and cents, not every company will see savings when moving to cloud-based solutions. With better availability and expanded capabilities, cloud computing solutions can deliver better value, even when the price tag is higher.